Jovana at the place she feels most at home: in front of her computer, coding away. 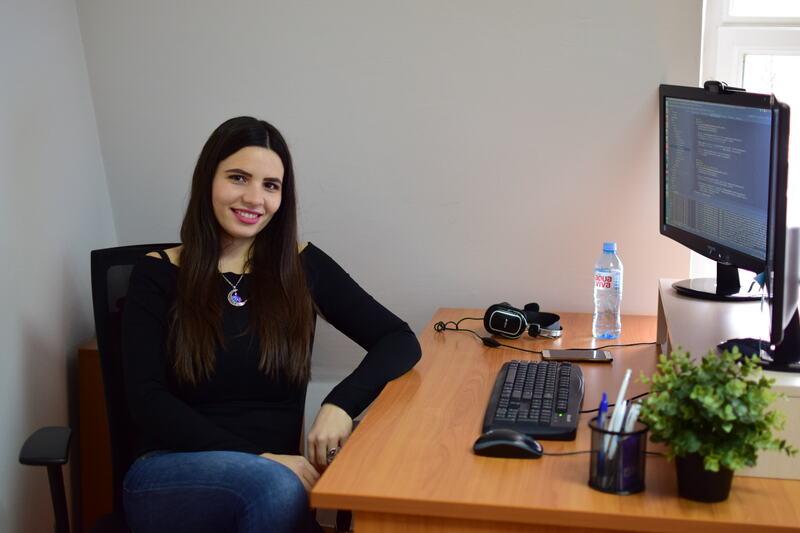 For those who’re not familiar with the technical terms: as a full-stack developer, Jovana has hands-on experience both in the front- and back-end domain. The former refers to everything you see in your web browser; the latter covers all the programming that works behind the scenes. 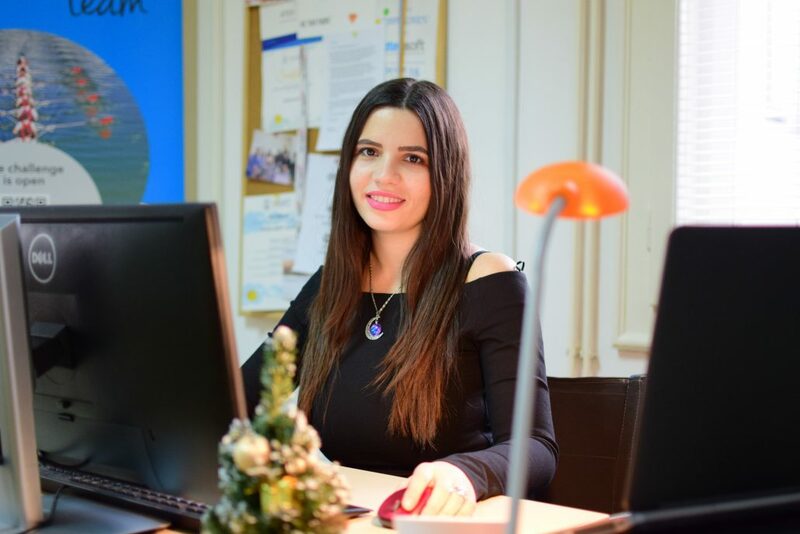 “It basically means I’m coding all day long”, Jovana says with a smile. 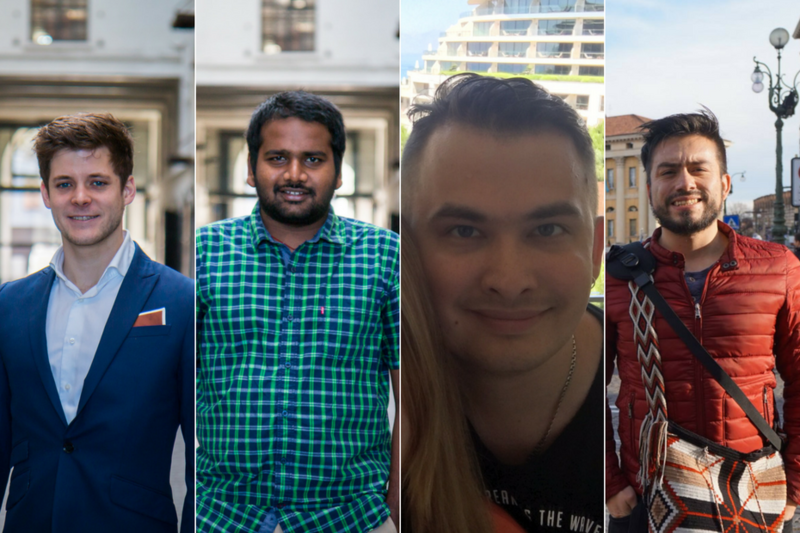 Chestnote’s other developers (from left to right): Wouter, Ananth, Anton and Oscar. 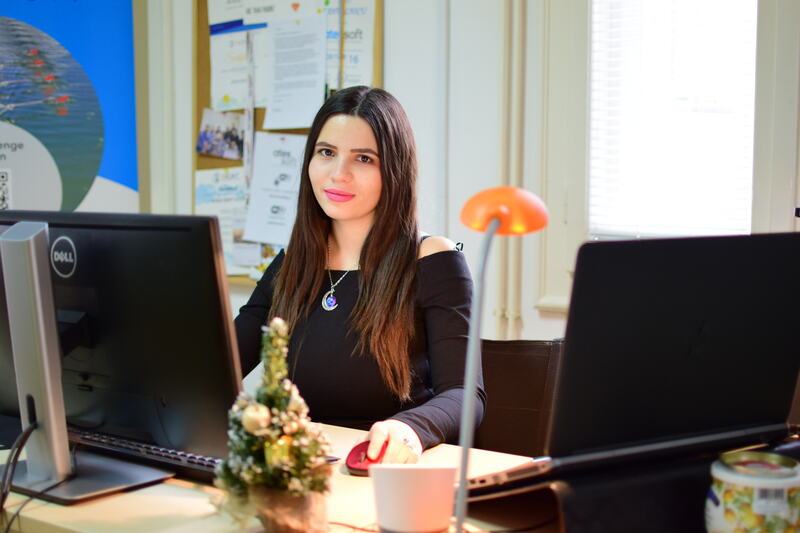 For any high school girl that’s in doubt about whether to go into programming, Jovana has some wise words: “Just go for it. It’s not that hard at all. Once you get the hang of it, you can really do so much. It’s a field where you can quickly see results: you’ll be able to connect things that didn’t make much sense before. And it’s a great feeling, being able to see the website or the app you built, up and running.” So for those who crave analytical work and don’t mind long hours in front of the computer: the tech world is waiting for you!